While many rooms in Snellville, Lawrenceville, or Loganville get renovated, none of them are changed more often than bathrooms. Whether enlarging the tub or adding more room to relax, bathroom remodeling in Snellville and metro Atlanta is definitely undergoing a great deal of change. If you are in the market to renovate or remodel your bathroom in 2016, take a look at some of today’s top trends when it comes to bathroom design and remodeling. If you want more out of your showering experience, then you should consider turning your current shower into a smart shower. 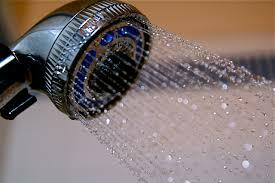 You’re not going to believe all the things that a smart shower can do! Get multiple showerheads that can change colors based on your mood, play music, and even decide just how much water needs to be used during the shower! You can even have a shower connected to the Internet or be enabled via Bluetooth. No longer an activity that has to be done to the exclusion of everything else, it’s now possible to take a shower and still surf the Web simultaneously. Enjoy more than just singing in the shower! In most modern Loganville, Snellville, and Lawrenceville homes today, the only kind of toilets that are installed are low-flow toilets. These toilets are stylish, economical and designed to use the minimal amount of water necessary on each flush. Older toilet designs, especially ones built before 1993, use almost four gallons of water per flush and typically results in your water bill being much higher than needed. Along with low-flow toilets, it is also common to have bathroom installed with efficient tubs and sinks. In the bathrooms of 2016, anti-fog mirrors are now being installed on a regular basis. Say goodbye to getting out of the shower and not being able to see anything in the mirror. Enabling a person to take a bath or shower without having to constantly wipe the mirror clear with a towel, these anti-fog mirrors are also seen as providing a level of safety and security as well. 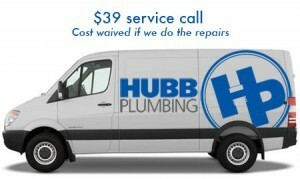 Call Hubb – your qualified plumbing contractor in Snellville. We’ll hook-up all the plumbing supply lines and drains for your remodeling project.